This is Day 14 of the 14-Day Healthy Living Challenge where hundreds of participants around the world work together to improve on their diet and fitness in January 2015. The challenge is now over, but you can do the tasks in your own time. Visit the overview page for all tasks and posts. Hi everyone!! 😀 It’s now Day 14 of our 14-Day Healthy Living Challenge! While this is the last task for the challenge, it’s NOT the last post for the challenge as I’ll be posting a round-up post tomorrow to gather feedback. So, don’t bid your goodbyes yet. Now, let’s hop on to today’s task! 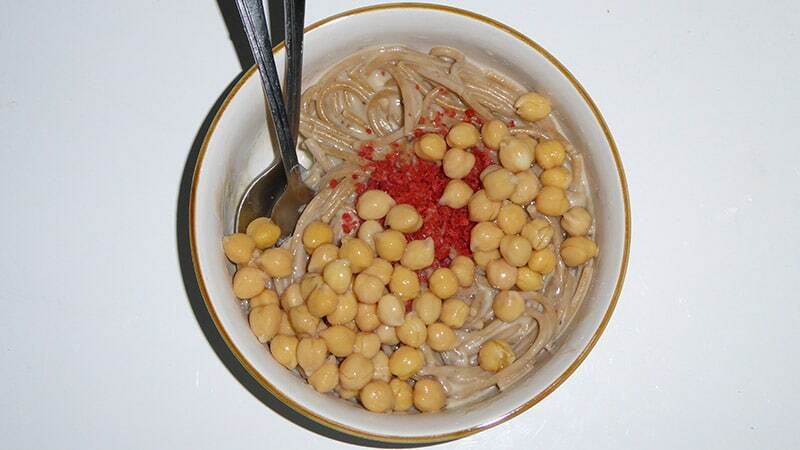 Dinner: Wholemeal pasta (cooked by Ken), bacon bits and chickpeas! I went to the supermarket to buy the wholemeal pasta so that I would have some healthier food in the house I can eat in case I run out of my sandwiches/soups/salads! 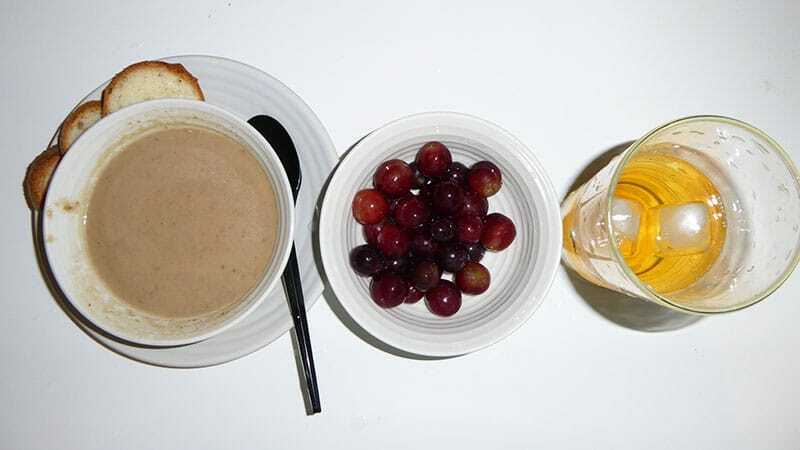 Supper: Apple and guava soup, grapes, and tea! I really love the soup and grapes (very juicy). I ended up not finishing the tea. 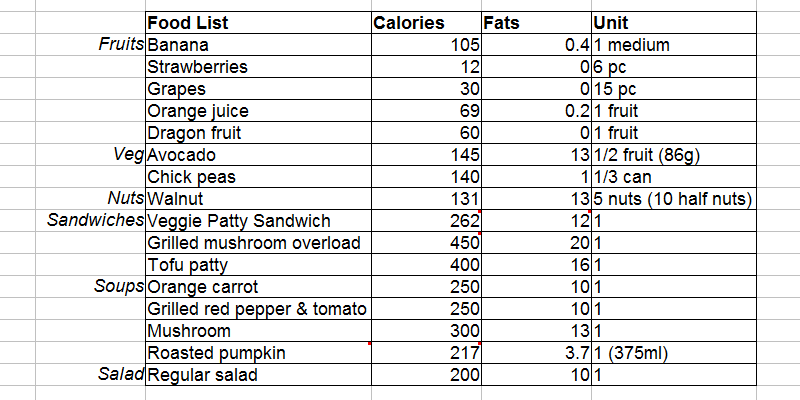 Not that it wasn’t nice; I just stop eating/drinking when I’m full or half-way full, as part of conscious eating. My healthy living guidelines, or what I call “commandments” (including the ones I’ve been working on in the challenge, like removing fried/oily food, exercising regularly, eating a salad daily and every other day). These commandments are based on priority areas to me now as well as principles to help bust my past common healthy living pitfalls. 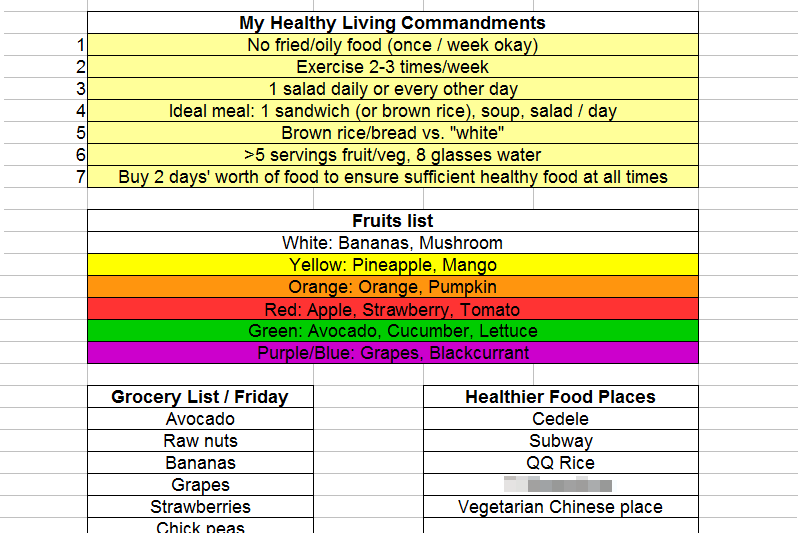 Some sections of my healthy living guidebook: My Healthy Living Commandments, Fruits list (to remind myself to eat fruits of all colors), Grocery List, and Healthier Food Outlets to get food from. Exercise at least three times a week – My third exercise for this week will be later on Day 14! Check out other participants’ amazing food logs and progress updates in Day 13’s comments section! So… this is it. 🙂 After two weeks of healthy living since the year started, we’ve now reached the end of our Healthy Living Challenge. As with all PE challenges, everything has to come to a close, and it’s time to gather what we’ve learned and synthesize them into meaningful steps for our journey ahead. How have you done? Are you happy with what you have accomplished in the past two weeks of the challenge? Did you complete your tasks as planned with each day? If no, why not? What can you learn from your progress in the past two weeks? Today’s task is for YOU to review YOUR progress, catch up on the challenge tasks so far, and create your healthy living plan moving ahead. Have you completed the tasks for Days 1–13? If not, catch up on them today! 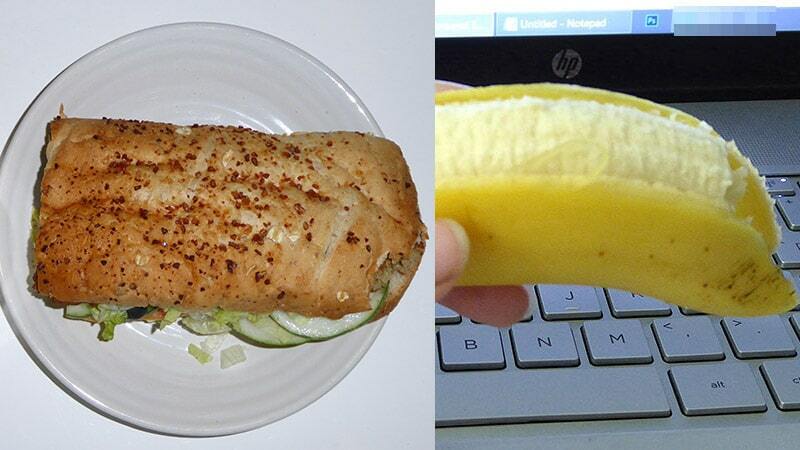 Day 6: Follow Your Ideal Meal Plan! Day 7: Review & Set Your Plan for Week 2! Day 8: Get a Great Workout! On a scale of 1-10, how would you rate your own performance in the areas of your (a) diet and (b) fitness? Why? What goals did you set for yourself for the challenge? How have you performed in them? Why? Were there any obstacles preventing you from sticking to your healthy living plan? If yes, what were they? How can you overcome them moving forward? Step 3: Set Your Healthy Living Plan Moving Forward! Now the challenge is coming to a close, it’s time to create your healthy living plan as you move ahead. What are your key goals for your health and fitness moving forward? Review your 14-Day Healthy Living Plan and add on/revise your tasks/goals as needed. If your goals are the same, stick with what you’ve written. What are your key action steps to ensure that you’ll 100% achieve these goals? Look back at what you’ve done/learned from the past two weeks, especially the answers you wrote for the tasks on Day 7 (Week 1 Review), Day 9 (Healthy Living Pitfalls), and Day 11 (Food Struggles). Identify the steps that will help you to achieve success in your healthy living plan in the long term. Then, start acting on them! 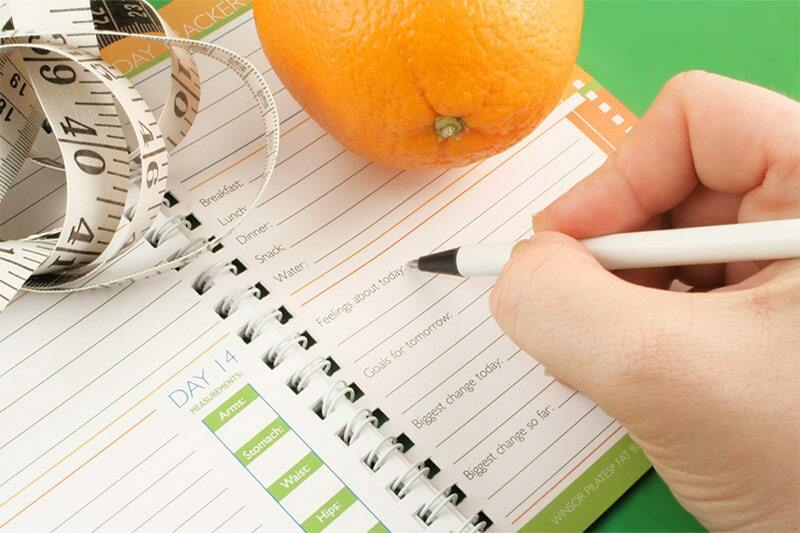 What tasks have you set for Day 14 of your 14-Day Healthy Living Plan? Do them today! PS: Since I always post my day’s progress in the subsequent day’s recap, my progress for today (Day 14) will be posted in the comments section of today’s task (as I always do) and shared in tomorrow’s roundup. I’ll also be collating my thoughts for the entire challenge in tomorrow’s roundup as well. After you’re done, proceed to Healthy Living Challenge Roundup: Reflection, Feedback, and Moving Forward!